* Accountability - The most successful traders are the ones that most consistently bring their numbers to meetings with me. They show each day's performance and review with me what happened: good and bad. They let the numbers tell the story: whether or not they let losing trades get away from them; whether or not they were consistent in trading their edge; etc. In one case, P/L was down for the month, but the distribution of winning and losing trades showed real consistency and superior risk management. It was simply a time period where opportunity was more scarce in that trader's strategy. But the conversation focused on what the trader was doing right, not simply on the lower P/L. 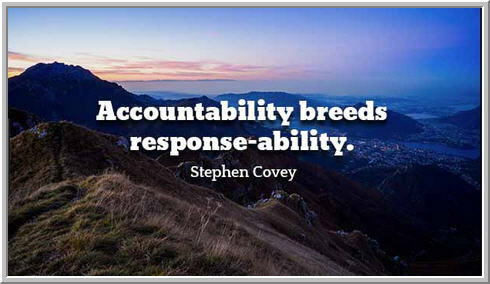 The best traders hold themselves accountable; they hold themselves to the goals they set and they set their goals in measurable ways. * Working on Psychology in Real Time - The most successful traders develop strategies for staying in their trading zone during the course of the trading session. Psychology is not merely an add-on, something to be reviewed at the end of the trading day. It is an integral part of their trading process. For example, one trader has found that he is much more successful when he is in a mind state of calm, patient, self-awareness. Accordingly, he takes breaks during the day to ensure he sustains his optimal state and practices meditation outside of trading hours to build his capacity to enter that zone. On the trading floor, the traders frequently refer to trading "setups": criteria that have to line up in order to provide an edge in a trade. We've recently begun talking about each person's psychological setups: the cognitive, emotional, and physical factors that need to align for best trading. Edge occurs when our psychological setups overlap the setups offered by the market. * Adopting a Process Focus Trade by Trade - A promising new trader who will be joining the trading floor recently emailed me and asked about "trading process". Because he had experienced success as an athlete, I responded by drawing an analogy to football. When you're in the game, you focus on blocking, tackling, and executing the next play well. You don't get caught up in the scoreboard or what others are doing. *That* is a process focus: being immersed in the doing rather than the results of the doing. Imagine that each month is a season for your basketball team and each trading day is a game that you're playing during the season. Your goal is to win the game, but to accomplish that you need to be focused on making the crisp passes, boxing out to get the rebounds, keeping yourself between the ball and the player you're defending, moving without the ball on offense, and screening to free up the good shooter. To win a season, you have to win many games; to win a game, you have to run many good plays; to run a good play, you have to execute on offense and defense. I've written in the past about my favorite bumper sticker, "Forget world peace. Visualize using your turn signal." That is process focus! The worst traders have a passion for trading. They need to trade. The best traders have a passion for trading well. They need to get better. Show me what traders are doing outside of market hours, and I'll show you the odds on those traders' success.